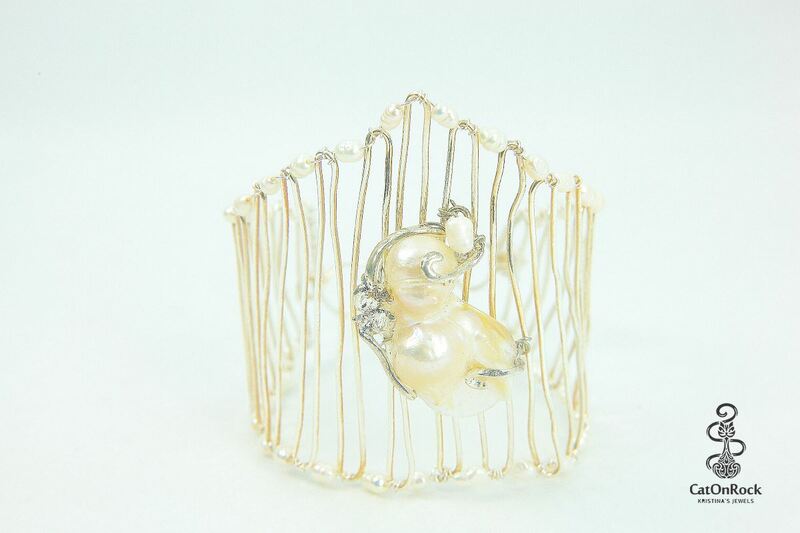 This is perfect for a bride, beach wedding or a cocktail party. 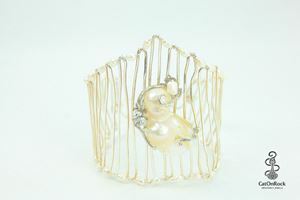 Non tarnish silver bracelet with fresh water pearls. 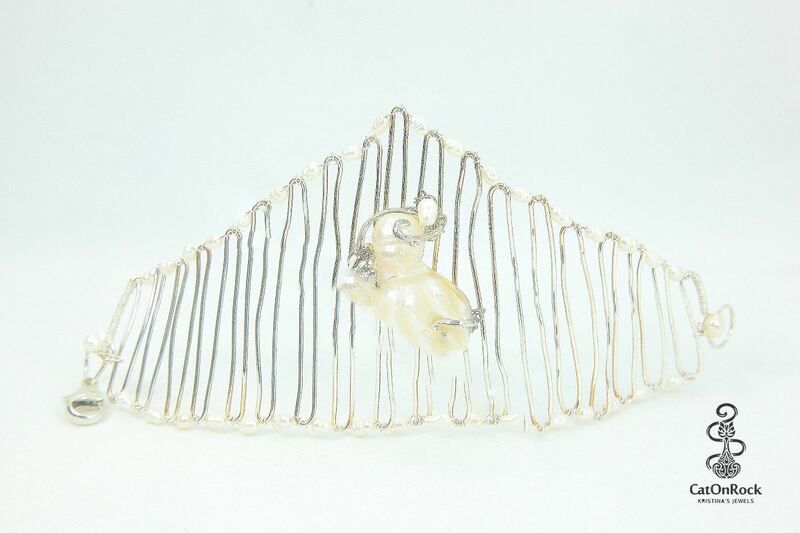 A large pearl piece is centered in the middle of a bracelet. Size: 7"